The word tricolor, meaning three-coloured, is often used for various republican flags, such as those of Ireland and Italy. 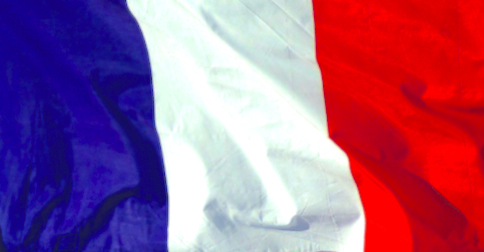 It’s perhaps most notably associated, certainly at the moment, with France. The word’s spelling and pronunciation in English are variable, and subject to some confusion. The noun colour is written with u in Britain and without u, as color, in the US. In French, this noun is couleur. But tricolor is historically an adjective. 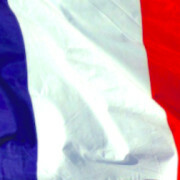 The French name for the flag is Le Tricolore, ‘the three-coloured’; compare for example French multicolore meaning ‘multicoloured’. So even in Britain the spelling tricolor is a valid alternative to tricolour with u.
I’ve heard one or two British journalists trying to make the word sound more French by pronouncing the ending as if it were -eur, with a long vowel /əː/. But as we’ve seen, that’s incorrect.